But it doesn't end there. 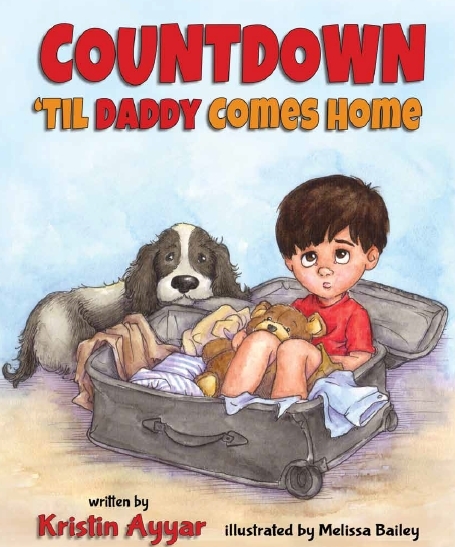 The book finishes up with some discussion questions to help your child and some great Countdown ideas while waiting for your loved one to come home. What are ways you helped your children with deployment? We had some great books to enjoy, special visits to Michigan to visit my family, we even planned a trip to Disney for a couple months after Dad got home. (Learn more about Disney's 2013 Military Discount at their site: Walt Disney World) We kept time moving... which is just what this book is all about. What a great idea for a book! My wife could have used that years ago while her dad was away in Viet Nam. That time didn't include another one year deployment, which fortunately wasn't a war zone. I realize you so great! I had been almost depressed, when http://www.consumermotion.com/product/edubirdiecom-p1252455.html had troubles on the website. I almost died, really, since i really needed an address after which it! That's craziness.